What sets us apart is our quality work and customer experience which we have meticulously developed over our nearly 30 years in business. We provide our clients with a warm, welcoming experience that they cherish and appreciate. 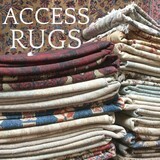 Access Rugs Inc. is a family owned and operated business with a retail shop in Berkeley, California and an office in Walnut Creek, California. For the past 22 years, we have been collecting a wide variety of hand-made rugs, jewelry, textiles, and artifacts from Central Asia. All of our products are hand-made and authentic, and each has its own cultural value. At Access Rugs, our aim is to preserve the Central Asian culture and to keep those artistic talents alive. We have built strong relationships with the makers and weavers of our products, most of whom work in rural and traditional settings. Having experienced those conditions first-hand, it has made us even more appreciative of their work, and that is where we see their real value. Our products are alive with the stories of the region and the people who make them. Access rugs operating as a direct rug importer and rug supplier has had the privilege of working with many businesses across the country. In addition to providing Access Rugs' clients with exceptional handmade rugs, Rug services including rug cleaning and rug repair have been an important part of our operation. While it is our desire to help promote and preserve our cultural heritage, we will continue to be that source of knowledge and education from that part of the world, with its rich history and culture. Thank you and we look forward to working with you. Our business is our livelihood but it is also so much more. Alex's Carpet Cleaners Services was started to fill in a void in the current market and to make a business that people can place their trust in. Over the years we have never lost our commitment to our clients and that is what has allowed us to succeed in a very competitive industry. 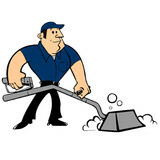 The employees of Alex's Carpet Cleaners Services stand committed to our purpose and will provide the best service! 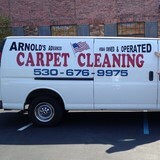 Carpet Cleaning in Sacramento and Acampo! Carpet Cleaning, Upholstery Cleaning,Tile and Grout Cleaning, Deep Cleaning and Spot Removal, How to remove Urine from Carpets, Protecting your Carpets, Full-Service Carpet, Commercial Carpet cleaning, Upholstery & Tile Cleaning Company. We specialize in Doing it right the first time! We're very detail oriented. We try to make sure everything is as clean as possible. Nobody out cleans us! We have state of the art Truck mount units! We offer Tile Color sealing too! 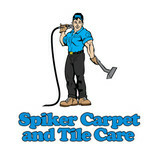 Call and ask about our Yelp specials on carpet and tile cleaning! 24/7 live phone calls, immediate water damage service. Direct insurance billing and we make the claims process fast. We get the job done right the first time. Using the most advanced industry techniques and technology, the CPR team takes great care to handle each unique loss with the highest level of professionalism combined with the right degree of compassion. We care and it shows. Water Damage Extraction, Fire Damage Restoration, and Mold Remediation Services: If your home or business has been affected by any type of water damage, flooding, fire, soot, smoke odor, or mold damage, trust Certified Property Rescue to respond immediately to fully assess the situation, completely restore your property and return your home or business to pre-loss condition. Our IICRC and ACAC certified, professional technicians provide the highest level of residential and commercial water damage restoration and flood restoration services for Sacramento CA and Northern California. We bill directly to insurance when the property damage is a covered loss, and work directly with property owners when the loss will cost less to restore than their insurance deductible. No property damage is too small for us, and our Large Loss Team can handle any size property loss, in any area of Northern California. Our Rug Cleaning Services Using Unique, Specialized Process No matter how careful you and your family are, it is recommended that you have oriental rugs cleaned professionally at least twice a year. Preventative maintenance makes a big difference, including vacuuming your rugs and spot cleaning. Our oriental rug specialists at East Bay Oriental Rug has the knowledge, expertise, and tools necessary to get your rugs cleaned up and looking as good as new again. We have more than 25 years of experience providing the San Francisco Bay Area community with exceptional services. We have been caring for carpets and upholstery in northern California since 1979. Whether you have a natural or synthetic piece and regardless of the soiling conditions, you will receive a level of expertise that is second to none. Home Pride Rug Cleaning will provide you with references upon request. Our company has one the highest reputations and is respected for our professionalism and exemplanary customer service. We come highly recommended by the most respected carpet retailers and interior designers in the county. Top value quality work our prices are affordable you will get more than what you pay for give us a call today to get your carpets looking new again. Clean Green Solutions is Northern California's choice in professional air duct and solar panel cleaning. I offer quality services to home and business owners in the sacramento and bay areas. My prices are affordable, fixed, and guarantee 100% customer satisfaction. Our technicians are fully trained to perform cleaning services in accordance with IICRC set standards, and are able to work efficiently to get the job done right the first time. Our services are consistently priced 25-35% below that of our competition! A countless number of households and businesses in Sacramento area have used our services to handle the most difficult of cleaning jobs. The best products, the best staff, the best management --> The Best Job! We are a local family owned business. Our mission is to provide our customers with a healthy indoor environment by removing many of the indoor contaminants. This includes dirt, dust mites, pollen, odors and irritants that trigger allergic reactions. Throughout our history we have developed superior technology and processes with one goal in mind – a clean healthy indoor environment! We help homeowners keep their Stone, Tile, and Carpets cleaner, longer. If you’re like us, you want to feel comfortable with the people you invite into your home. And let’s face it… some Techs can be a little rough around the edges, rude, inconsiderate, and downright “scary”. Well, we promise you won’t find any of that riff-raff here. But what you will find is that we are the nicest, friendliest, most professional Technicians in the business, and we are passionate about providing you with the best service ever! We are thorough… ridiculously thorough. We obsess over the details. While other cleaners are cutting corners to save time, we’re down on our hand and knees scrubbing corners to give you the most thorough cleaning possible. From treating every single carpet stain by hand, to scrubbing each grout line right up to the edges, we make sure that by the time we’re done with your job, every inch of your flooring will be spotless. If you have carpeting in your home you know how hard it can be to keep clean. Your stubborn stains and everyday dirt are no match for professional carpet cleaning services in Carmichael, CA though. The powerful tools that Carmichael carpet cleaners have are designed to not only clean carpets and upholstery, but restore them as well. This, coupled with their expertise of materials and textiles, makes carpet and upholstery cleaning professionals in Carmichael, CA well worth the expense. What should I look for in a local Carmichael carpet cleaner? Not all Carmichael carpet cleaning companies use the same methods, but there are a few common things that they should do to for a quality job. Make sure they do an analysis on the area you need cleaned and recommend the best course of action — are there large stains or high-traffic areas that need extra treatment or attention? Also, make sure they provide quick drying times so that you can be back in your home faster; that means hours, not days! A good carpet cleaning service in Carmichael, CA should move furniture (within reason) and put it back in place when they are all done; don't let them charge extra to do this. Another important factor to look out for is whether or not the carpet cleaners use chemicals, and if so, they should be asthma- and allergy-friendly. This is especially important for households that have children or pets. Lots of Carmichael carpet cleaning services also clean rugs. Rug cleaning can involve anything from a simple wash to complete re-weaving or foundation work. Make sure the local rug cleaner you choose has experience with the types of rugs you need serviced, especially if they are hand-woven or Oriental rugs. What should I look for in a local Carmichael upholstery cleaner? Upholstery comes in many more varieties than carpet and rugs, thus needs cleaning tailored to each specific blend. Even if you don’t know what material your sofa or chair is made with, a good upholstery cleaning service in Carmichael, CA will be able to identify it and treat it appropriately. Some textiles require dry cleaning and that can’t be done in home, so if that’s the case, check with the upholstery cleaner and see if they offer pickup and drop off services. Leather cleaning is a bit different and often involves more restoration and conditioning than actual cleaning. Make sure the Carmichael furniture cleaning service specializes in leather if you are considering them for the job. Find Carmichael upholstery and carpet cleaning services on Houzz. Narrow your search in the Professionals section of the website to local carpet cleaners in Carmichael, CA and read reviews and ratings to find one that fits your needs.